New Zealander Richard Greager studied in Melbourne. He has been Principal Tenor at the Royal Opera House Covent Garden, Scottish Opera and Hannover State Opera. In 1980 he became a principal guest artist with Opera Australia and, until 1995, divided his career between Australia and Europe. In the '90s he sang several major roles at the Royal Opera House Covent Garden, including creating the role of King Arthur in Sir Harrison Birtwistle’s highly acclaimed opera Gawain which received its world premiere in 1993, was revived in 1994. Since returning to New Zealand in 1995 he has continued working throughout Australasia in opera and concert. 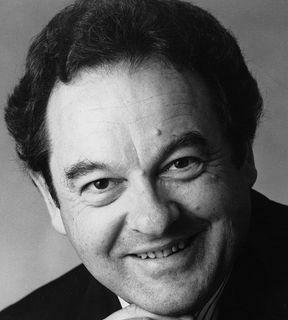 In New Zealand, Richard Greager has sung the roles of Valzacchi in Der Rosenkavalier, Herod in Salome, Pinkerton in Madama Butterfly and Tikhon in Katya Kabanova for the New Zealand International Festival of the Arts, Cavaradossi in Tosca, the title role in Peter Grimes, Don José in Carmen and Don Ottavio in Don Giovanni for Wellington City Opera, Gustavus in Un Ballo in Maschera for both Wellington City Opera and Canterbury Opera and Pinkerton for Canterbury Opera. He has also sung Pong in Turandot, Dr Caius in Falstaff, Bartolo in The Marriage of Figaro, Eisenstein in Die Fledermaus, Guillot de Morfontaine in Manon, Torquemada in L'Heure Espagnol, Gherardo in Gianni Schicchi and Macduff in Macbeth for NBR New Zealand Opera. Throughout his career, Richard Greager has been a popular guest artist for symphony orchestras in New Zealand and Australia. He has sung in highly successful productions of Wozzeck (winning the 2001 Australian Green Room Award for Best Supporting Male Singer), Boris Godunov for New Zealand Opera and Salome in both Sydney and Melbourne for Opera Australia as well as premiering Paul Grabowsky’s new opera Love in the Age of Therapy for OzOpera at the Melbourne and Sydney Festivals. Concerts include Beethoven Symphony No 9 with Sydney Symphony, Vaughan Williams’ Serenade To Music with Wellington Sinfonia and The Bells for Royal Melbourne Philharmonic. More recent highlights include Mime in State Opera of South Australia’s 2004 production of Richard Wagner’s Der Ring des Nibelungen which was recorded under the Melba label, the roles of Vanderdendur, Governor and Ragotski in a semi-staged concert of Leonard Bernstein’s Candide for Perth Festival, Herod in Salome in concert under the baton of Simone Young for Brisbane Festival, Herr Vogelsang in a concert performance of Der Schauspieldirektor with Auckland Philharmonia, The Creation for Royal Melbourne Philharmonic, Pulcinella for Vector Wellington Orchestra and Valzacchi in Der Rosenkavalier in concert with Hong Kong Philharmonic. Engagements in 2009 included an outdoor concert at Basin Reserve with Vector Wellington Orchestra, Opera in the Paddock in Australia and the role of Goro in a concert performance of Madama Butterfly with Auckland Philharmonia. In 2010 he sings the role of Basilio in The Marriage of Figaro for NBR New Zealand Opera and Aegisthus in Elektra for Auckland Philharmonia. Richard will be the tenor soloist in Beethoven’s Symphony no. 9 for the Auckland Philharmonia.